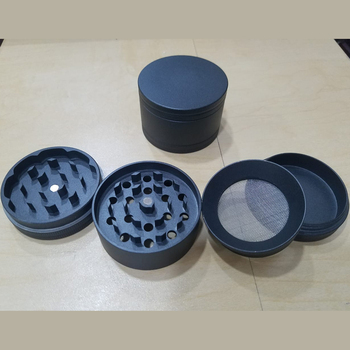 Grinder comes with a magnetized cover that snaps securely in place, preventing spillage & keeps contents fresh when used for storage & great for odor control. 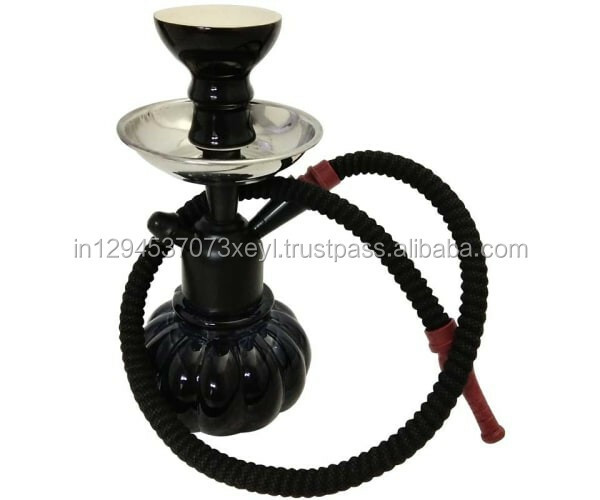 28 sharp teeth sit ready to tear apart even the toughest of herbs, spices, tobacco or medicinal herbs. 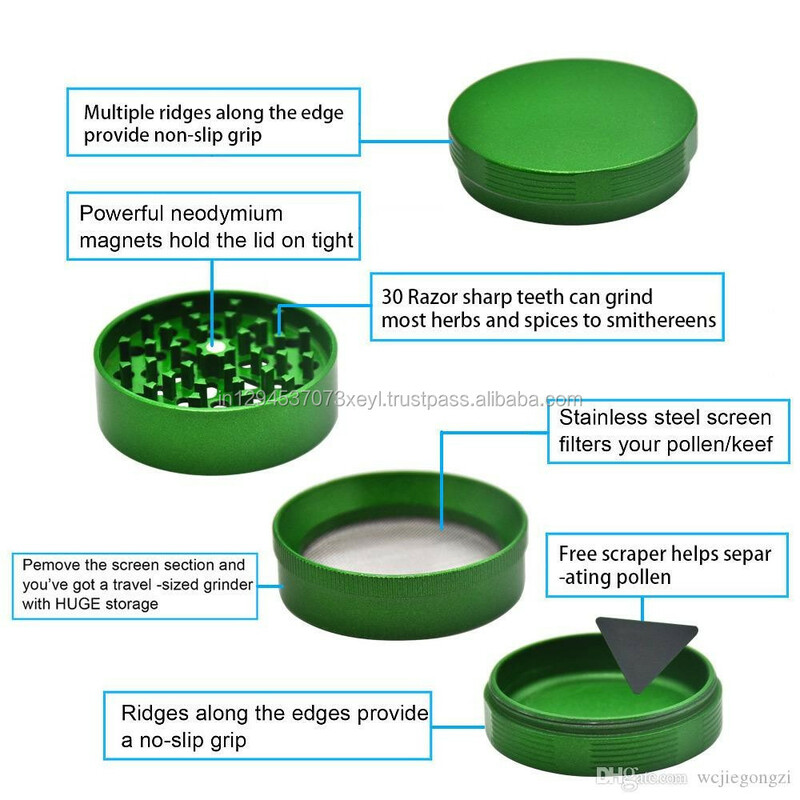 Once ground, you can easily access/store your herbs in the micro mesh filter found in the third compartment. 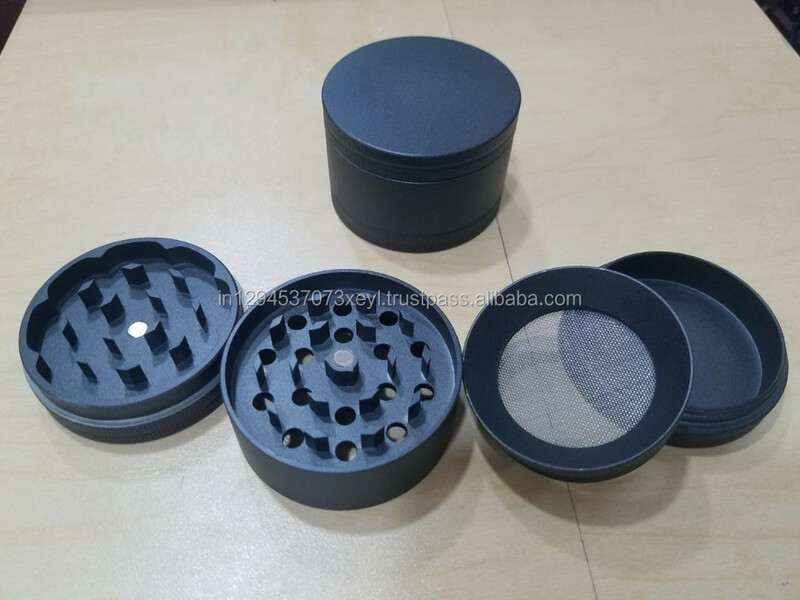 Stainless steel micro mesh screen, filters & separates pollen from your herbs for a no-mess grind. Helping you catch and store all the powdery goodness we know you'll love for future use. Includes plastic spatula.